The United Auto Workers union has joined forces with Canadian union Unifor and asked U.S. consumers to boycott Mexico-made General Motors vehicles. 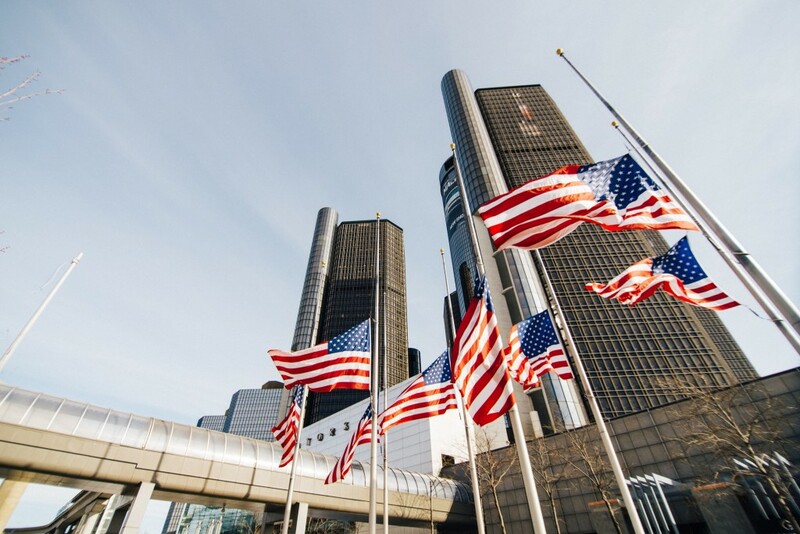 It’s a step up from the UAW’s previous stance that asked its members to not consider the purchase of GM vehicles made in the country. A new video details GM’s rise and full at the end of the oughties, to present day, which is attached above. The UAW asks the automaker to invest in the U.S. GM CEO Mary Barra has said it has more vehicles it plans to build in the U.S. 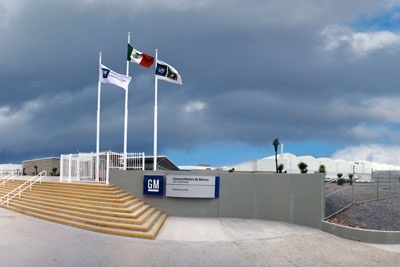 However, GM has taken to Mexico to build some of its most profitable vehicles: crossovers and trucks. We previously compiled a list of all vehicles GM builds and exports from Mexico to the U.S. for sale. They range from the sub-compact Chevrolet Trax, to certain configurations of the Chevrolet Silverado and GMC Sierra. The Detroit Free Press reported Friday the latest push from the UAW follows President’s Trump’s signing of the “Buy American, Hire American” executive order. The order can provide federal financial assistance to companies such as loans, loan guarantees, cooperative agreements, insurance, and interest subsidies. The extension of the executive order now includes raw materials such as concrete and other manufactured goods. In addition to the Mexico boycott, the UAW said it does not support GM cars made and exported from China or Poland. Curiously, it excludes South Korea, which exports the Buick Encore and Chevrolet Spark to the U.S. The inclusion of Poland is also peculiar as Buick is the only recipient of a Polish-made car in the Cascada convertible, which will soon exit production. The backlash comes after GM announced it would cut thousands of jobs and close five North American plants this past November. In addition to the UAW boycott escalation, Canada’s Unifor plans to air a Super Bowl ad this Sunday. The ad will call on U.S. consumers to not purchase GM’s Mexico-made vehicles and remind the audience of the of the multi-billion dollar bailout both the U.S. and Canadian governments, taxpayers, and unions funded. So the union has superbowl commercial levels of spare cash, and GM says the layoffs from Canadian and American plants are necessary to stay profitable. I see the connection. Maybe GM should just do like they used to and let the union push them in to keeping a money losing plant running until they need another bailout. Thank you. I literally couldn’t sum it up better myself. Listen, I hate seeing jobs being cut. But if we want a General Motors at all, then let Mary Barra do her thing. I highly doubt a commercial is gonna fix anything. Letting Barra do her thing would be ok if She were competent. IMO, she is the worst CEO by far of all the major automakers. First, the union’s job is to protect the jobs of its membership. Second, if the plants are not profitable it is Barra’s fault. Ford and FCA saw this trend three years ago and retooled their plants to trucks and SUVs while Barra and GM were chasing some unicorn vision of AVs and EVs. Finally, even if these plants were loosing money, it would not cause GM to go bankrupt. What will cause GM to go bankrupt again is Machete Mary’s Triple zero vision, gutting of design and engineering staff, giving away market share to competitors, and cheapening product. She is doing these things well. It’s not her fault. There’s over-capacity at all the sedan plants, and plus millennials are not buying cars as much as the previous generations. Paying employees to produce a product that is no longer in demand is not a wise business decision. Ask IBM about their concept of lifelong employees. Sorry, at $22 Million a year it is her job to see trends in the market. Ford and FCA saw these trends four years ago, and converted their sedan plants to trucks and SUVs. Now the plant that was making Focus cars is making Rangers and massive overtime is predicted. The same is true for FCA’s Sterling Heights plant. It’s more profitable to build vehicles in Mexico or China. So using your logic, why not close all American plants. I would not be surprised if that is her plan long term anyway. She certainly has a Mexico/China first capital investment program. Great to see Americans getting on-board. Canadians and Americans are exactly in the same boat. Instead of sending everything new in China and Mexico, GM could easily put products in these 5 plants and still be profitable. Outsourcing, is always the easily option but it’s also the cowardly and safe option for business executives. GM’s situation is not easy here in Brazil. It has filed claims to maintain its operation here and continue to invest in its locally made products. They want the complete outsourcing of the factory, reduction of wages, increase of the working hours and more. But many do not believe it, because it is the best-selling brand in South America for the 4th year running, and Chevrolet Onix is ​​the best-selling vehicle in Latin America. Talking about shooting yourself in the foot, run a expensive commercial telling people not to buy GM yet foreign makes (with no union) have factories in enemy lands AND sell in the US and buyers will automatically go to them when they see garbage like this. All European brands have unions that would make American unions appear like a bunch of school boys. Especially Germany, have super powerful unions, supported by the state and they build the best cars on the planet. The anti-union movement in the US is just a propaganda campaign by the super rich to convince the lower classes to work for less and keep them uninformed. And it’s working on many levels. Didn’t know the US south, China, Mexico and many other nations were in German lands with BMW, Benz, VW factories, must be a “Man In The High Castle” situation…..
GM have good market presence in China, so they make where they sell, Mexico is a Latin gateway for GM so they make and sell there and due to proximity some models get sold here. Someone mentioned here the only factory really shutting down is Oshawa while GM play hard ball with the US plants. UAW to make a emotional decision due to another union making emotional decisions ain’t good for business. @White: Correlation does not equal causation. Germany builds some of the best cars in the world in spite of their unions, not because of their unions. A good argument can be made that the best built cars in the USA are built without the “help” of unions. Toyota, VW, Honda, Subaru, NIssan aren’t exactly the ones building junk and closing plants. I would beg to differ. The German economic model integrates the unions into the boardroom also. So with better benefits and higher wages they excel at value added manufacturing. American unions don’t “help” because American companies do not value their employees viewing them as necessary evils rather than valued partners in success. So perhaps perspective is the key here. GM is more focused on short term profit than building value through high quality vehicles. With that statement, no I won’t buy a Chinese GM (or anything else) but the racist hypocrisy of not buying Mexican GM is brain itching. People had no problems buying Mex made GMs from the 1970s-2016 but now some guys seen it as a strike on “r homelands” , get real.. The only real way to stop GM moving their lineup to Mexico or China is the tariff, tax cutting ,and labor wages. GM will continue to export jobs and products. Emotional appeal will not work to sway GM. The only thing to change their course is money. If the public stops buying GM products especially those made elsewhere then you are hitting them in the only place to hurt them. In the pocketbook. Union funds should be spent on a advertising campaign to convince Americans to buy vehicles made by their neighbors etc. I got an offer of an extra $1500 incentive on my GM Credit card the other day. It went straight to the garbage in light of Machete Mary’s restructuring. You are so disillusioned with GM, no sure what you’re doing here???? You might be much happier at Ford Authority or even at a Kia site. Why Bert? I am a GM stakeholder by owning a GM vehicle, and living in an area that will be economically devastated with GM’s cuts. That gives me a right to complain. BTW, I am on other domestic sites as well. I will slam their management on those sites when/if they get as bad as GM’s. and I will also praise their management (like FCA’s) when they hit the mark.